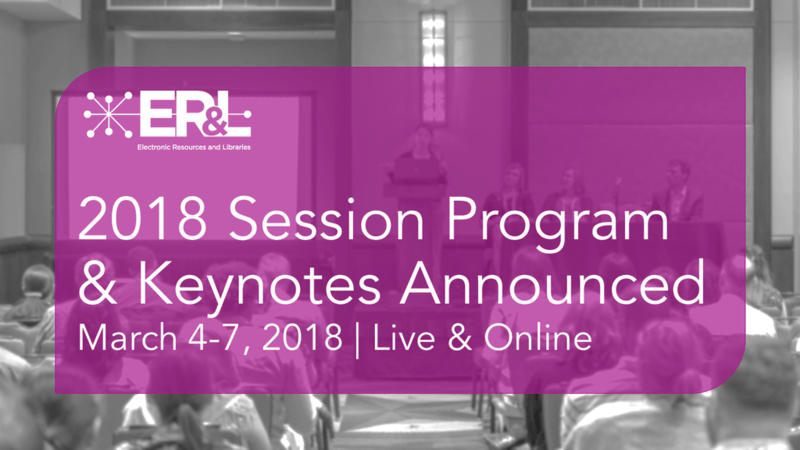 Last chance to save over $100 on the in-person ticket to #erl18! 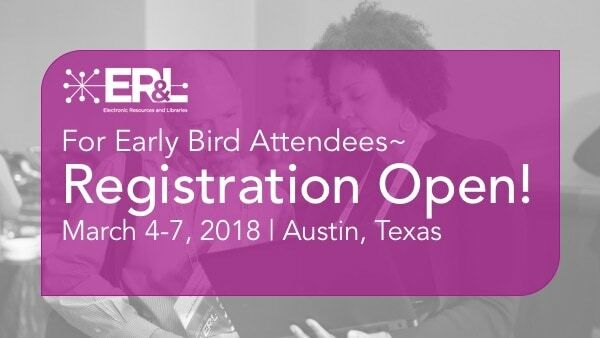 Early Bird Ticket Deadline = Thursday, November 30th Register by November 30th to save over $100 on the in-person ticket to #erl18! Full details about registration can be found here. November Updates – So Many Exciting Announcements! 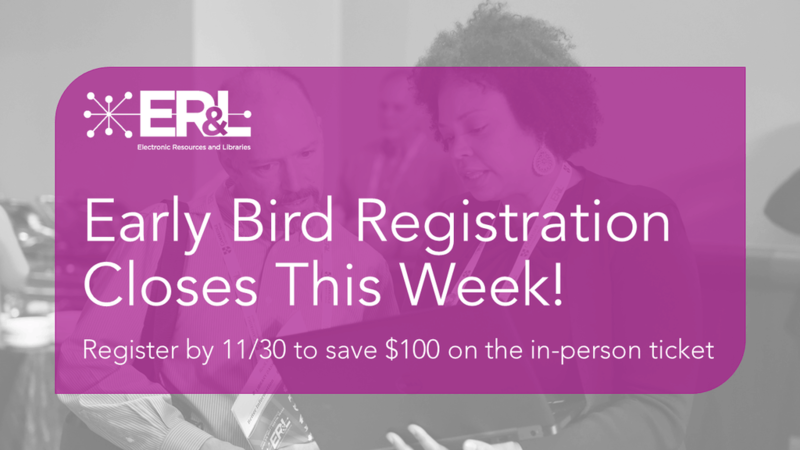 Early Bird Registration Rate Deadline 1/12! Last Call for Early Registration! 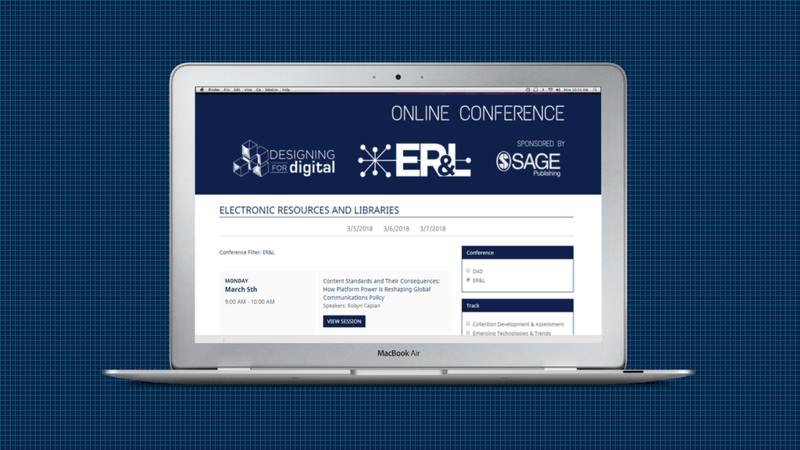 Still need to register to attend #ERL17 in Austin or online? Don’t delay! 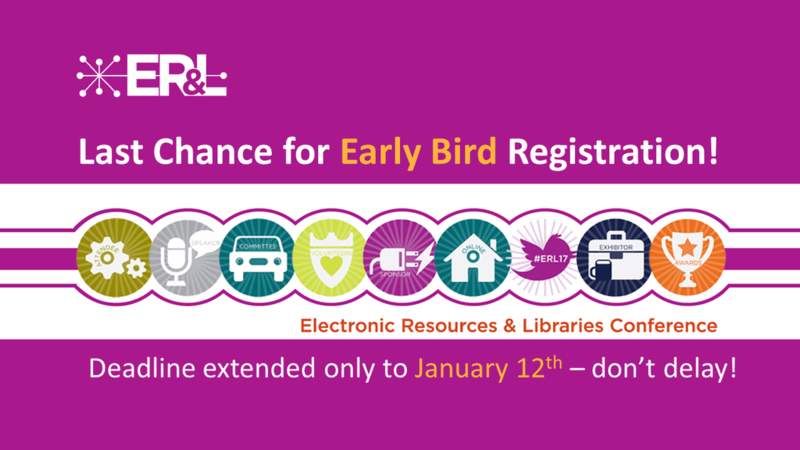 Register before January 12th to take advantage of the Early Bird registration rates!